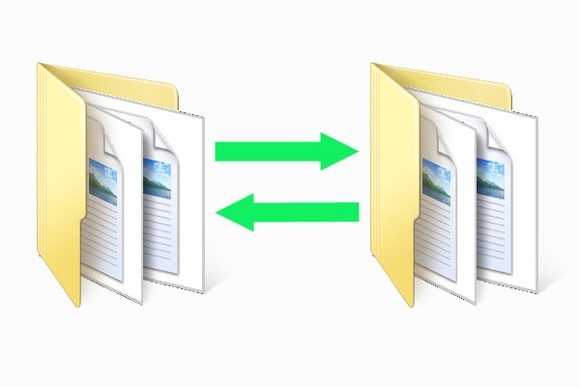 This may not be a problem for many people but folder syncing can be an issue, especially if you are like me, who has work spread out over at least three computers; one at home, one at the office, and a mobile computer (laptop/tablet/phablet). This is not to mention the syncing of work to online resources like Dropbox, Google Drive and Microsoft’s OneDrive (formerly known as SkyDrive before an injuction by Sky Media in the UK put an end to that – Microsoft should fire the guy who came up with that name as clearly they have no research capabilities) – so that should one by any chance not be at one of their computers but has access to an online machine, they can still get access to their work. I scoured the web searching for useful solutions to this conundrum and here are the applications I have ended up installing on my computers – in a bid to keep my folders up to date most of the time. And I am now officially on the Windows 8 wagon. I have come to the conclusion that for mobile computing, Windows or Mac is the best way to go if you want to avoid any hassles. I still however, believe in having a Linux or Unix box for my core services – that is what my home PC that delivers supporting services to the other computers in the house run. I love neat and useful gadgets. On my wish list is the iRobot Roomba robot that can clean floors while I am away at work but who am I kidding. TIA (this is Africa) and the dust in my neighborhood will make the motors in that thing pack up in one week max. My uneven floor wont help much either. Anyhow, I do own dust averse clever gadgets though, and this one I love. It’s my Kindle! It’s a second gen Kindle Keyboard (curses all you Kindle Touch and Kindle Fire owners) but it works like a charm and for as long as it keeps doing so (or somehow gets lost), Amazon can keep releasing newer ones – I will not be deterred to buy another one. Though the $79 ad supported Kindle is quite tempting. Recently, I needed to install Suse Linux Enterprise Server on a HP Proliant Server. The setup goes smoothly until I had to reboot the system, at which point, I got an error when I tried to boot from the hard disk – Error Loading Operating System. On booting with the installation disk in recovery mode, and trying to get grub to boot into the system on the hard disk, I kept on getting the error that /dev/had could not be found.